Bern specializes in head protection for non-motorized action sports. Through new designs, engineering and development, Bern has driven the evolution of head protection. We stock a range of Bern Snowboard Helmets that focus on providing you with ultimate protection as well as maintaining style on the slopes. 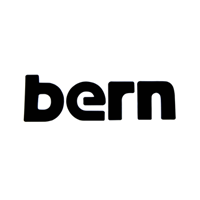 With Men's, Women's and Youth-specfic models and features such as the Bern 8-Track Audio System and Boa System Technology (available on selected models) you're sure to get the perfect level of comfort, fit and style from your Bern snowboard helmet.